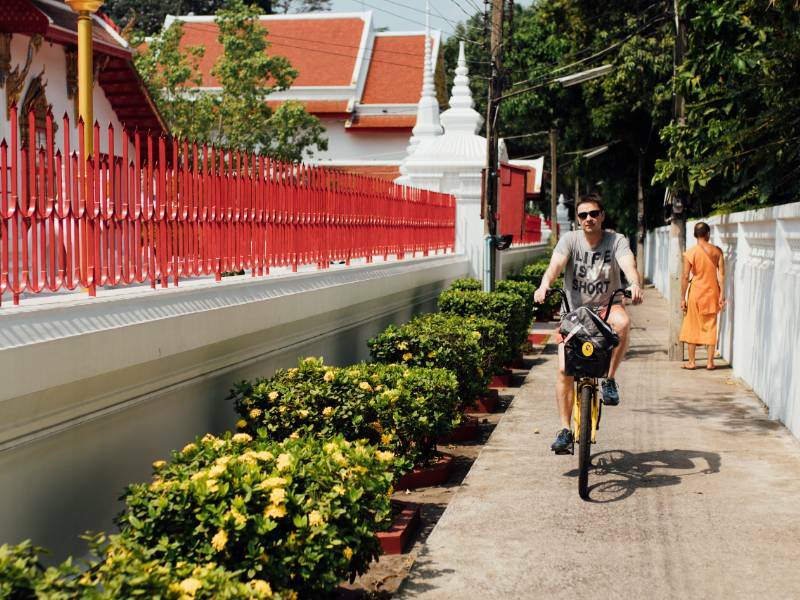 Bike Tour Bangkok | See the city in 3 hours with Baja Bikes! 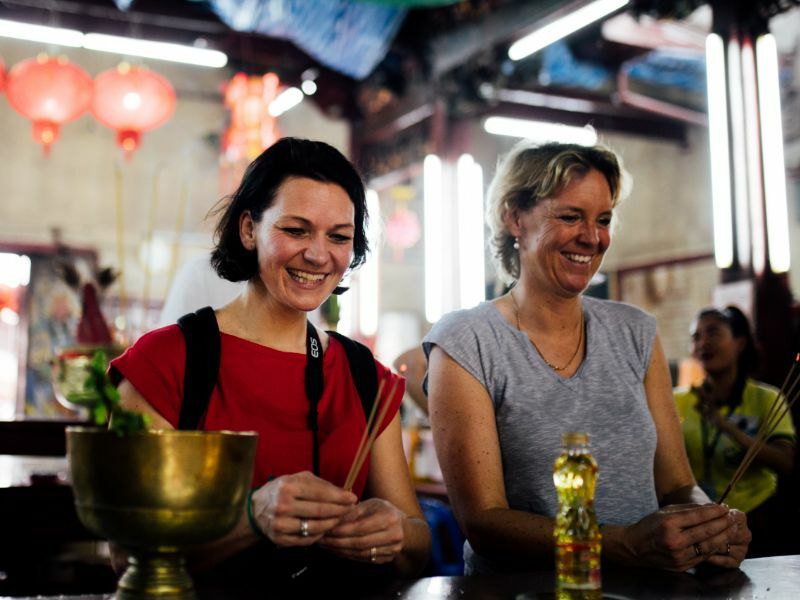 Are you visiting the Thai capital and are still looking for a fun activity to explore the city? 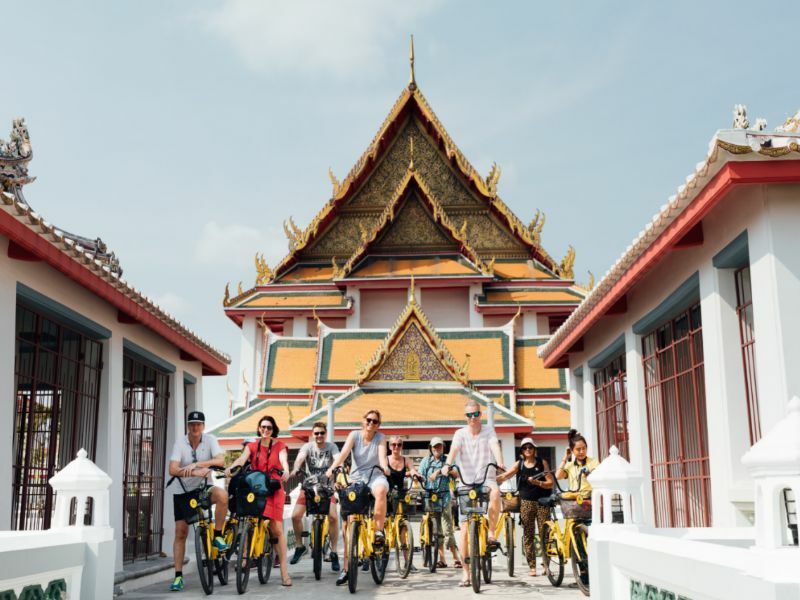 Do our Bike Tour Bangkok Highlights and discover this amazing destination with a local experienced English-speaking guide! 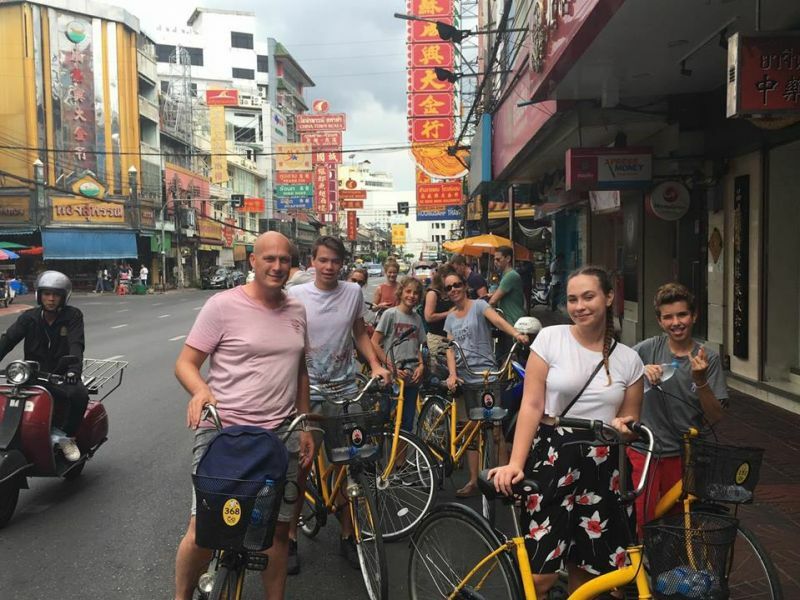 Cycle through Chinatown in a relaxed pace and learn all there is to know about the history and culture. 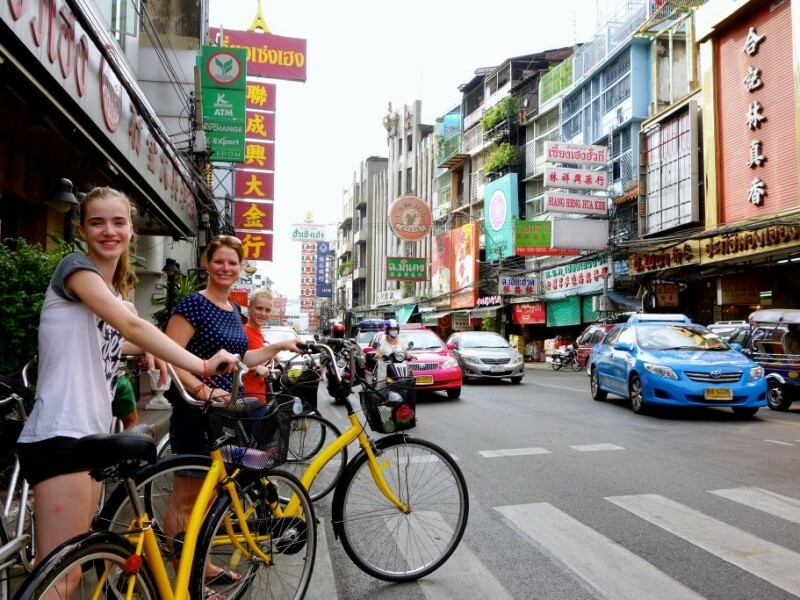 Our Bike Tour Bangkok Highlights starts in the middle of Chinatown. 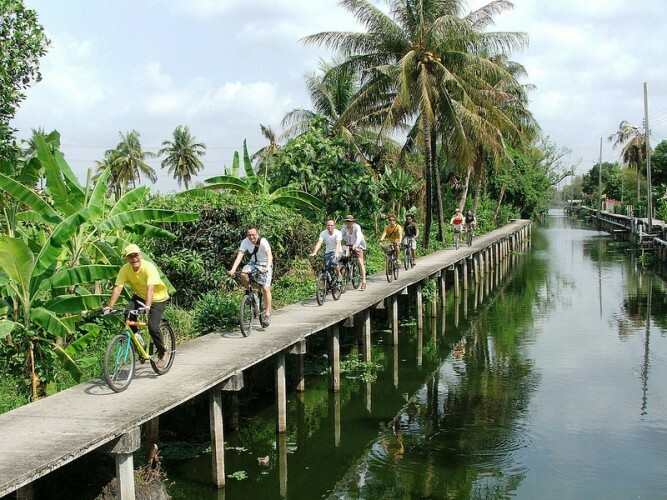 Together with a small group and a local English-speaking guide you will be riding through the narrow pathways while experiencing the atmosphere of this dynamic destination. The following part of this tour takes you to hidden temples, where the local people are worshiping and ritually burning papers. 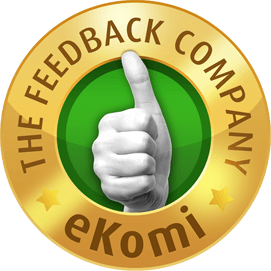 You will get a first hand experience of the culture and the people. 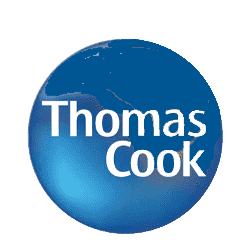 Afterwards you will be crossing the Chao Phraya river on a ferry, while enjoying the impressive views on the beautiful skyline. 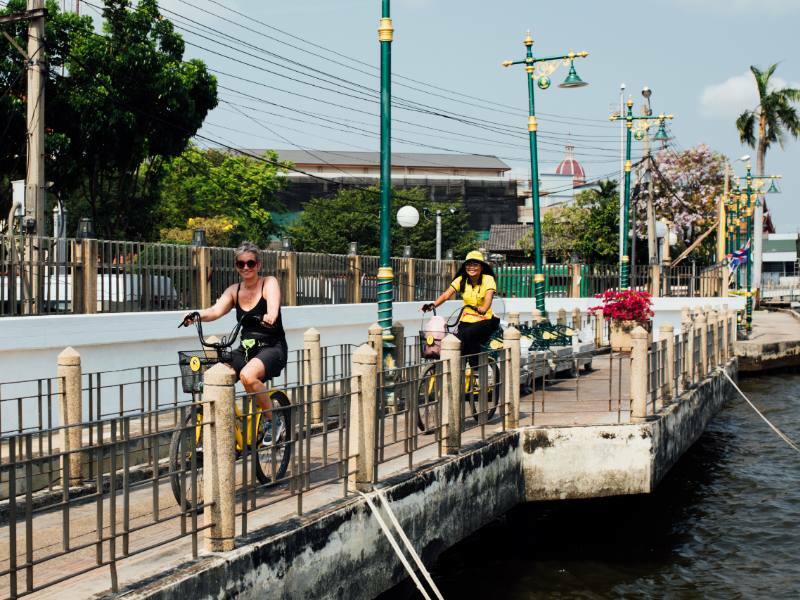 After crossing the river, the next stop is the historic third capital of Thailand: Thonburi. 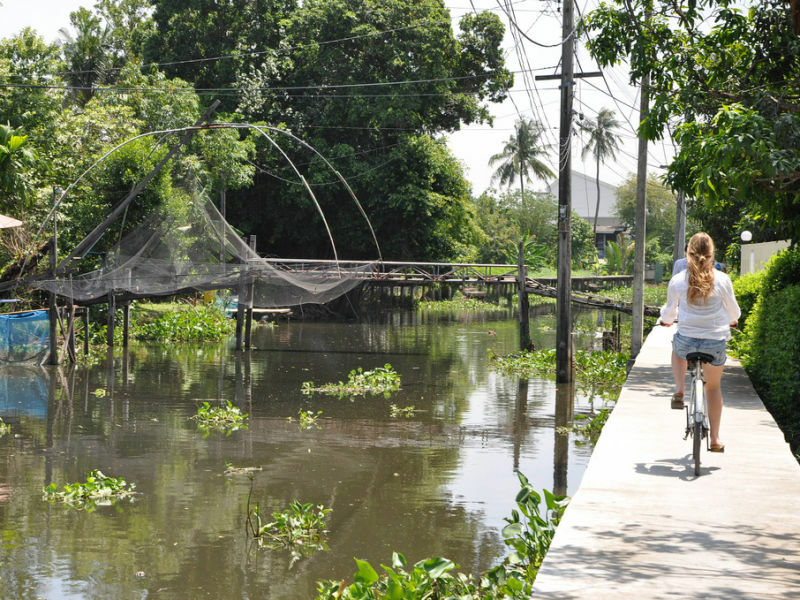 The peacefulness of the local Thai life will surprise you. Meanwhile, you keep riding along various residential communities and famous highlights while enjoying the friendly greetings from the locals. 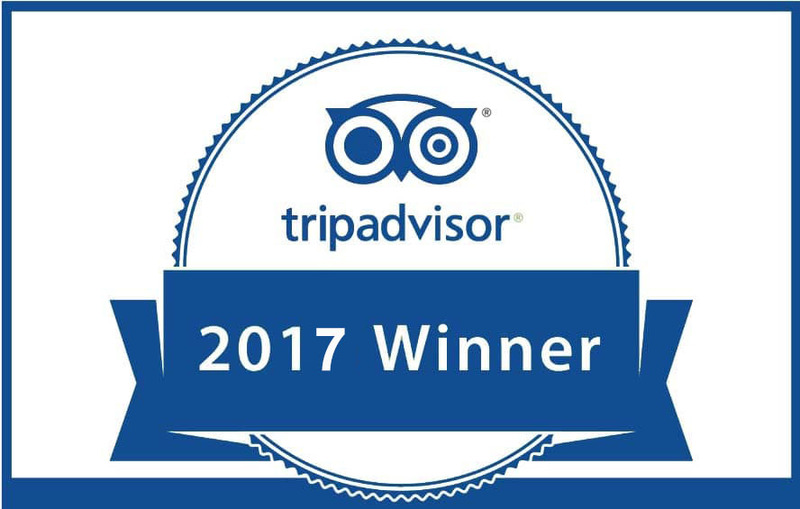 Of course the guide will be there to explain the history and rich culture. 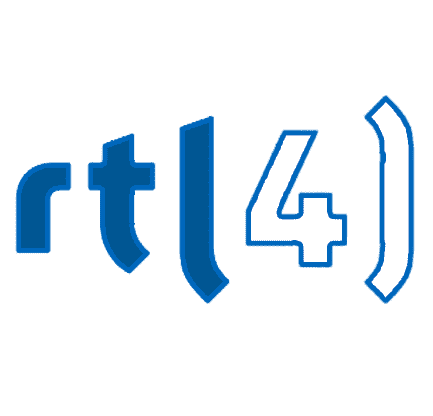 There is so much to take in from this beautiful city and this excursion is one of the best ways to experience it all. Of course there is also enough time to take pictures and your guide will be more than happy to answer any questions you may have! 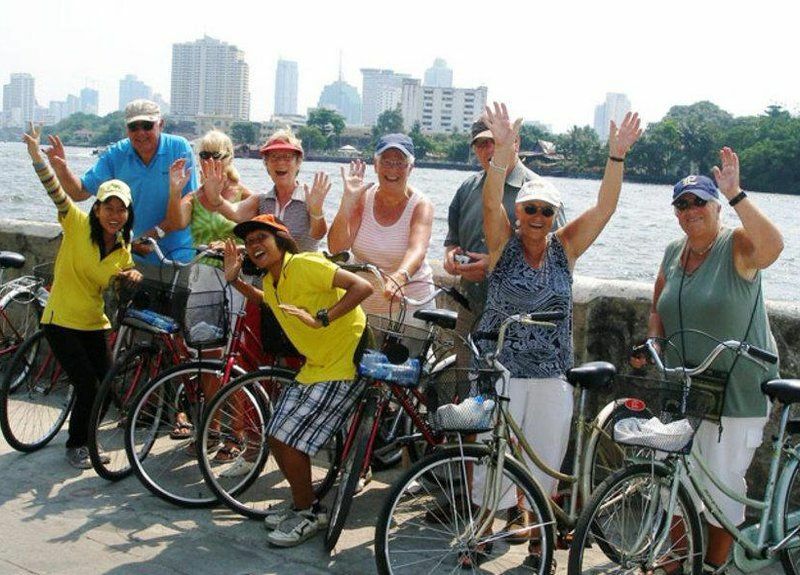 Book a bike tour in Bangkok! 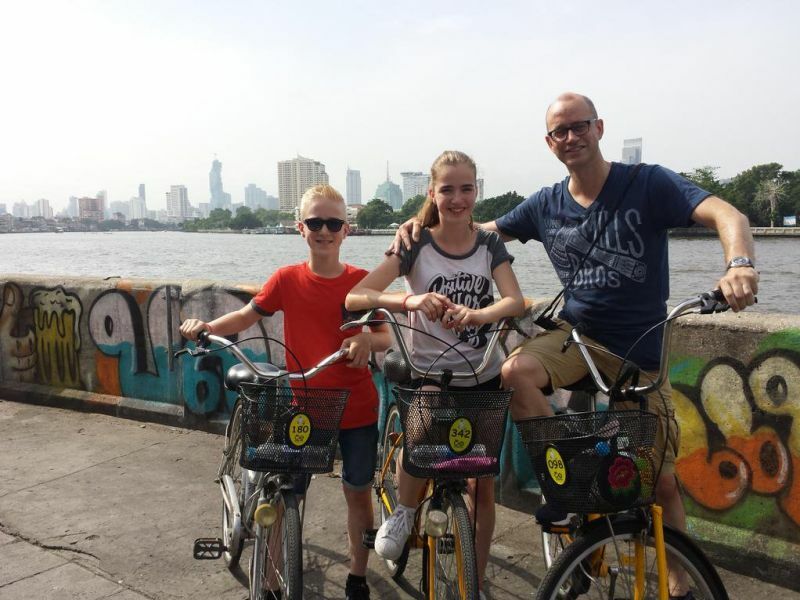 Our advice: Do one of our guided tours, for example, the Bike Tour Bangkok Highlights, on your first days in the city, so you can get an overview of the most important spots at the beginning of your trip already. 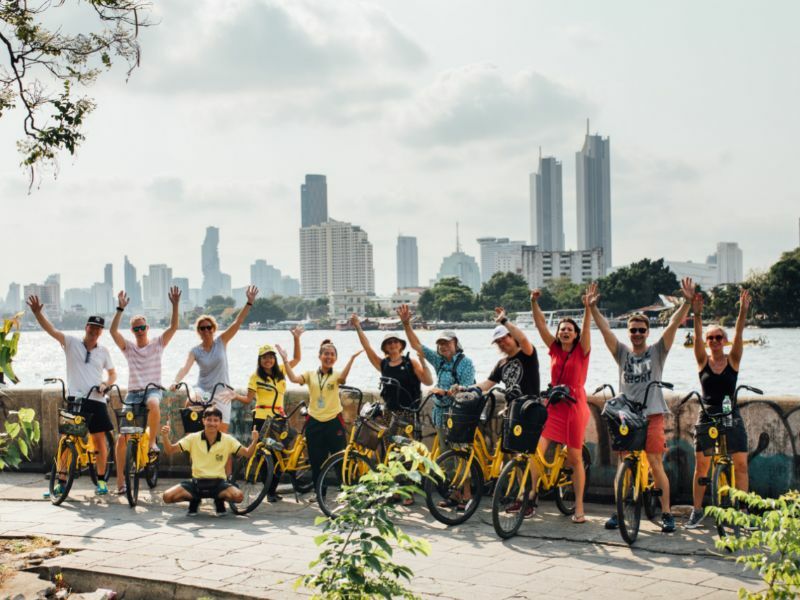 Bike Tour Bangkok: Start your city trip off right with a Baja Bikes tour! 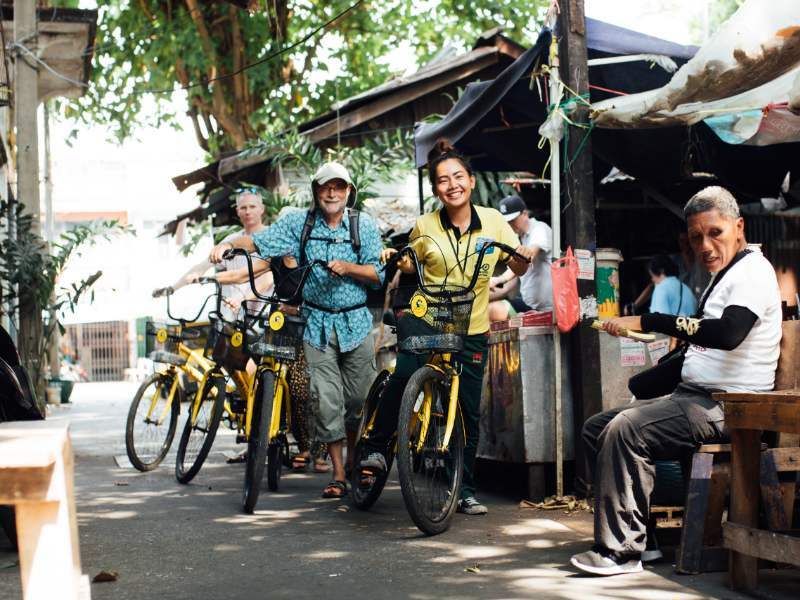 Would you rather rent a bike or do a different tour?